If, like me you are already feeling this Madrid heat, you’re probably in need of a place to cool off. 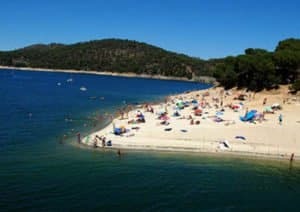 Even though Madrid might be land locked in the very center of the country, you’d be surprised at all of the public pools, natural pools and beaches that can be found within decent travelling time from the city. This week we will focus on three completely unique beaches for you to visit during this increasingly hot summer weather! 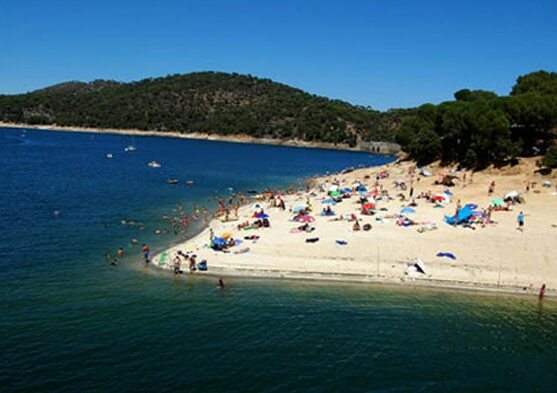 Alberche Beach is a beautiful riverside beach in the region of Madrid. People flock to the sandy beach on weekends where they can swim, rent boats and have picnics at the many tables around the beach. 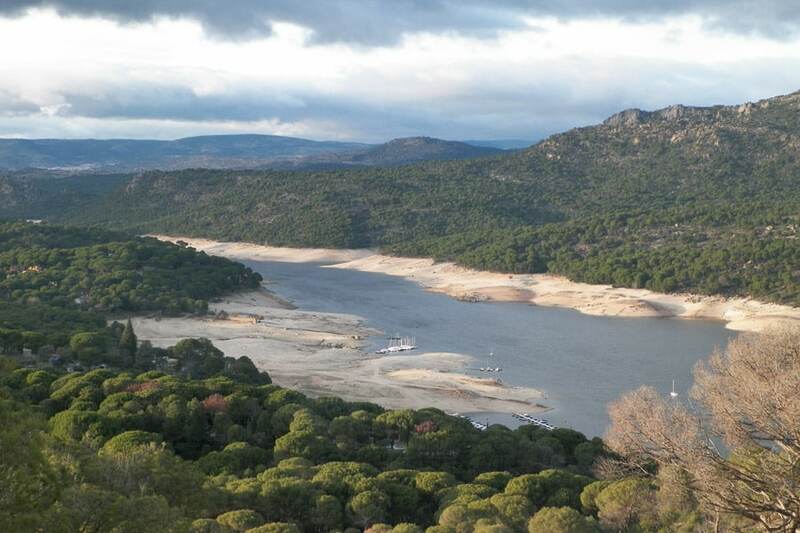 Though it might not have the atmosphere of a tropical beach, it’s only a 1 hour from Madrid. This is a perfect location for a spontaneous day-trip out of the city! This lake is surrounded by a beautiful pine forest, allowing you to be completely cut off from the city. 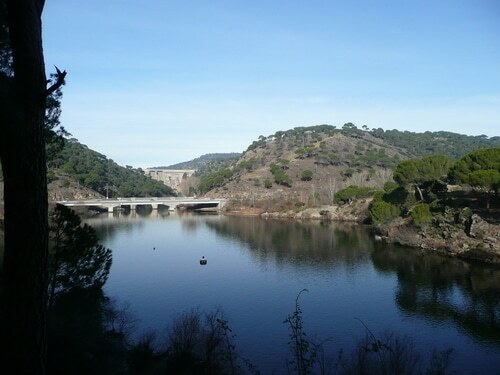 The Embalse de Picadas swimming area is also located on the Alberche River, but closer to the reservoir and the man made dam. The recreation areas offer a lot of space, as well as shade to enjoy the day. You can prepare a picnic or a BBQ, because there is space and equipment to meet all those needs. 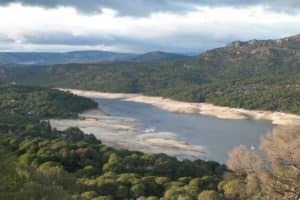 The fresh water plus the gorgeous landscapes make this one of the top desired locations in the Madrid province! The Madrid Rio Project, also known as the Urban Beach, is a relatively new project located on the Madrid Rio. 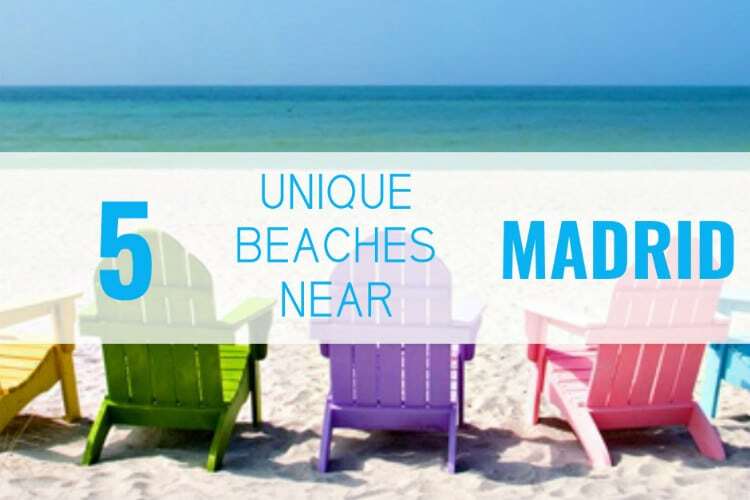 This location is a strange combination between a beach and a pool, but nonetheless, it totally qualifies for this list. 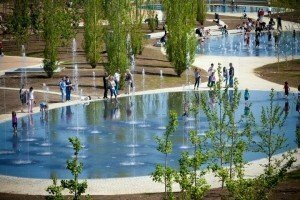 At the Madrid Rio Park there are three oval shaped wading pools – water no higher than your knees – surrounded by grass, picnic tables and of course, along the river itself. This becoming a prime location too cool off especially with all of the other activities available to everyone at the Park. Located between the provinces of Avlia and Madrid, lies the Lancha del Yelmo. A reservoir in the middle of nothing but nature. People come here to swim, sail, canoe, fish, bike and hike. It’s the perfect escape for a weekend or even a day outside of the city. The body of water itself is the Pantano de San Juan, a river that runs through much of the region. And where you can find several other swimming spots along the river banks. 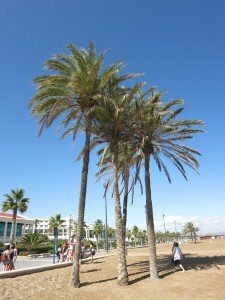 Valencia is perfect for a quick weekend getaway to the coast and it is only about a 3hrs by car and 1hr 38mins by train. If travelling by train, you can easily go a for a day-trip! Valencias beach is large, clean and its generally calm waters make it great for those who want to have a dip in the ocean. 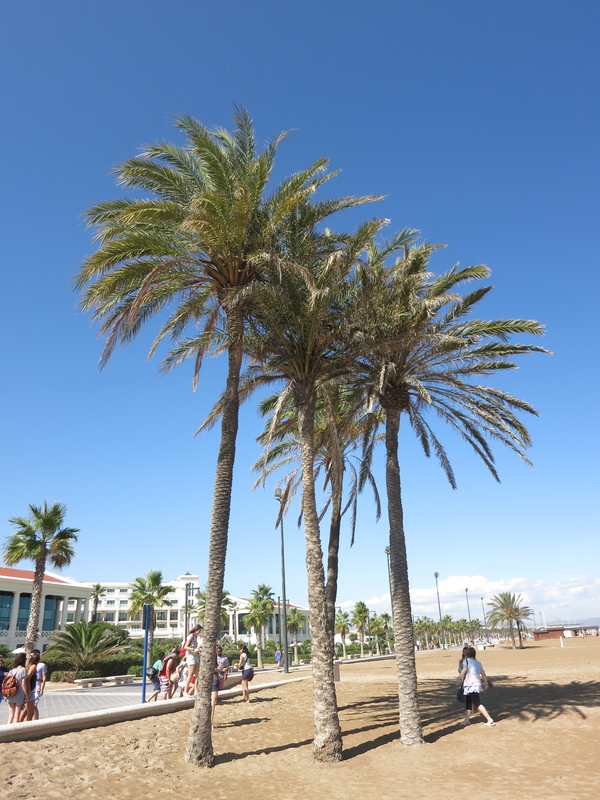 The beach is surrounded by great restaurants serving the cities traditional Paella! If you decide to spend a full weekend in the city, be sure to check out the Center of Arts and Science near the beach. Here you can enjoy Europe’s largest aquarium and art gallery and a science museum! Citylife Madrid will be taking several sun-filled weekend trips to Valencia each semester! So if you need a break from the city and want to work on your tan, join us! Looking for more places to swim? 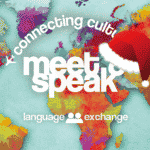 We have tons more content to share! Checkout Dive in! Madrid’s Pools are Open or spend a weekend in Spain’s Beautiful Islands! Valencia is 3h 45mins by train. Would suggest looking at google before writing this wrong information. Hi there AC, If you take a gander at the Renfe website you’ll notice there are most definitely trains that can take you to Valencia in roughly 1.4 hours. As always, there are various trains of various speeds with various stops. If people wish to look at all the train options then they only need to look it up themselves as that is not the purpose of this article!